Bihar Chief Minister Nitish Kumar, questioned the Centre about its lack of commitment to the state. 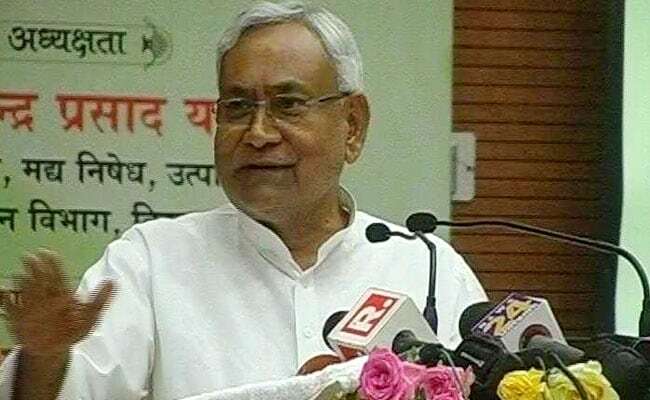 Patna: The Janata Dal (United) said on Saturday that the denial of special category status to Bihar by PM Narendra Modi's government at the Centre was equivalent to "injustice". The JD(U), headed by Bihar Chief Minister Nitish Kumar who had hastily formed an alliance with the BJP-led National Democratic Alliance (NDA) less than a year ago, questioned why the Centre was not making any commitment for providing special assistance to the state, like it was doing in Andhra Pradesh. "The Raghuram Rajan Committee had included Bihar among the 10 least developed states. We were second from the bottom in a list prepared on the basis of composite development index," JD(U) general secretary RCP Singh told reporters here. Mr Singh, a close confidant of Nitish Kumar, was speaking after attending an all-party meeting convened jointly by state Speaker Vijay Kumar Chaudhary and city-based think tank Asian Development Research Institute (ADRI) for pressing the demand for greater assistance to Bihar. "Clearly, injustice is being done to Bihar. We wonder why no commitment is being made for Bihar, as is being done for Andhra Pradesh. Bihar's need for greater help is much more than the southern state," Mr Singh said. Andhra Pradesh had witnessed political turmoil recently over the issue of special status with the ruling Telugu Desam Party pulling out of the NDA and bringing a no-confidence motion against the PM Modi government to press for the demand. The Centre maintains that the provision for grant of special status has ceased to exist after the 14th Finance Commission recommendations came into force. It said special package would be provided to all states which needed help. Abdul Bari Siddiqui, who represented the state's main Opposition, Rashtriya Janata Dal (RJD), in today's meet, took a dig at JD(U) saying: "Earlier it was said that Bihar was not getting its due since the NDA was in power in the state and the Centre was ruled by the UPA (United Progressive Alliance). Now the same alliance is in power both at the Centre and in Bihar. The state should get its due now," Mr Siddiqui, who was the finance minister in the Grand Alliance government headed by Nitish Kumar, said. The demand for special status for Bihar had been raised by Nitish Kumar ever since he became the Chief Minister in 2005. He had repeatedly stated that he was willing to support any government at the Centre, which would grant special status to the state. ADRI's founding member-secretary Shaibal Gupta said the meeting had been convened to hold discussions for preparing a memorandum that would be submitted before the 15th Finance Commission. BJP, Congress, Hindustani Awam Morcha (Secular), CPI and CPI(M) also participated in the meeting.